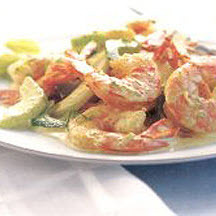 CooksRecipes has quality, kitchen-tested recipes for diabetic-friendly seafood main dishes that you can count on for accuracy and deliciousness. 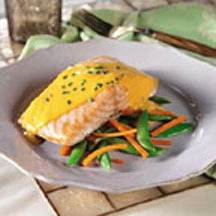 Fresh salmon fillets are baked on a bed of vegetables and topped with a fragrant ginger citrus sauce. 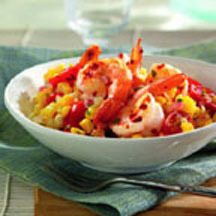 A colorful array of fresh corn kernels, minced red onion and cherry tomatoes are dressed in a lime vinaigrette and topped with spicy grilled shrimp.